Intranet Platform Comparisons - Are They Really Helpful? For those in the market for social intranet software, a quick look at the many options is enough to cause confusion. Are you looking for a platform to handle team collaboration? An network to connect your different company departments? Social listening? Content publishing? Or maybe a combination of these? Well, the list of solutions goes on and on. In this post, I'll discuss some common intranet platforms and examples, some background on the industry, why intranet software comparisons don't paint the whole picture, and what you can do to make an informed decision. It's not uncommon in this situation to start looking for comparisons and examples between software options in the same way you might if you're searching for the perfect blender to add to your kitchen. Unlike the blender scenario, comparing intranet platforms is often like comparing apples to oranges -- and it can lead to problems when choosing the right software for your organization. To put it simply, the industry is extremely segmented and only becoming more diverse as time goes on. It's no wonder why business owners are confused, even if they think they have a solid idea of what they're looking for. Intranet platforms: Growth at lightning speed. Given just how many different options there are regarding social software, it should come as no surprise that the industry is seeing growth at lightning speed. New intranet vendors pop-up every day. Intranet vendors from all over the world are jumping on the bandwagon and attempting to get their piece of the pie, and startups seem to be popping up on a daily basis. 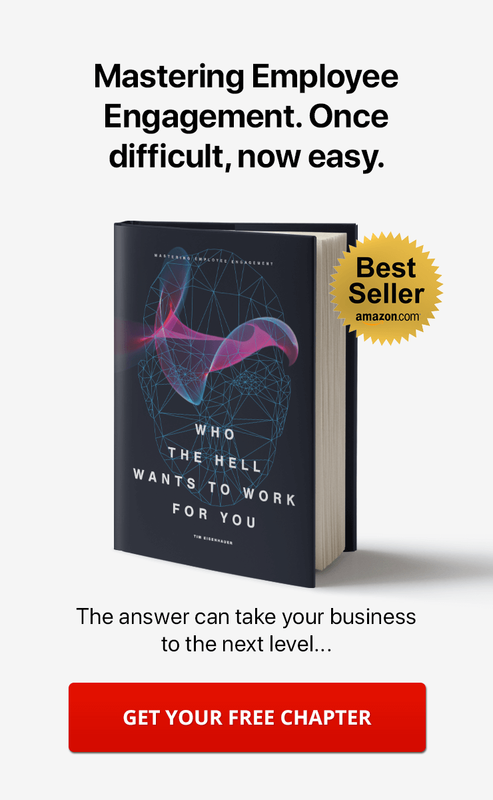 Competition is a healthy factor in any industry, but the problem in this case is that many new startups claim they have "the answer" for your company when in fact they have little experience providing solutions. I've seen intranet platforms pop-up, slap a bunch of fake customer logos on their website, and start selling open-source software they claim to be their own. You can tell by their pricing. Anytime a company undercuts the market by levels of magnitude, you have to be cautious. How do they do this? How can their pricing be 90% less than everyone else? Here's how: By downloading an open-source platform, changing the design a little bit, and then calling it intranet software! Is this honest? Do you want to do business with this kind of company? Only you can answer that question. I think it just adds more confusion to the pile. Buyer beware. Do your homework. Huge corporations buy-out smaller companies to bully their way in. 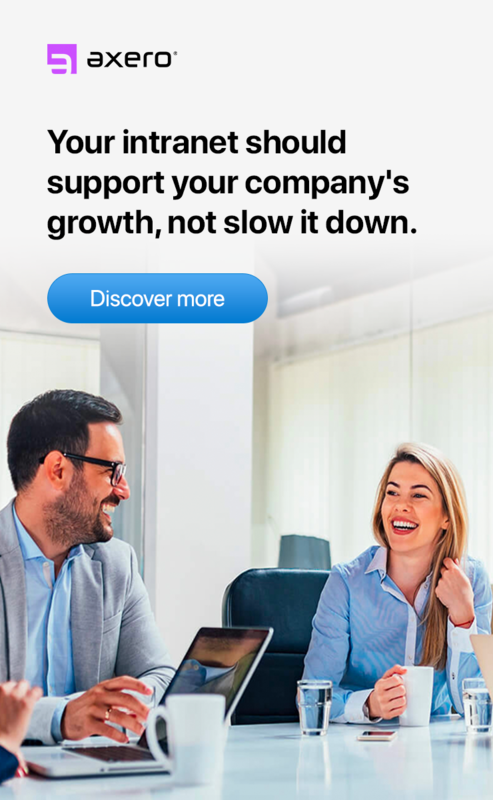 Perhaps one of the biggest concerns is that large companies are showing habits of acquiring smaller competitors and then cobbling software together that makes use of a variety of different social intranet platforms. These large organizations tend not to be experts in the solutions they provide, as they're pulling together software options that they had no hand in creating. The result is a mixed-bag scenario that most businesses will do best by steering clear of. Pricing is all over the map and varies dramatically. Another thing to think about when looking at intranet software comparisons is pricing. Depending upon what is being offered, pricing can vary dramatically, especially when you consider new vendors versus those that have more experience in the industry. Add to this the fact that many intranet platforms come bundled with hidden fees that can add up exponentially over time, and it becomes clear just how important it is to be discerning when on the hunt for the right piece of software for your organization. Let's take a look at some social software examples to move your search forward. 5 main types and examples of social intranet software for your business. In order to understand which route to take, it's important to gain a better understanding of the different types of platforms available when you start searching Google for "intranet software comparison", "intranet examples", "intranet platforms", etc. While they all fall under the intranet category, these are some examples of the variations you can see from one platform to the next. Ultimately, your best solution is to find an intranet that combines all of these together. 1. Social intranet platforms (customer communities, collaboration tools). The easiest way to understand a straight-forward social intranet platform is to think about Facebook and Twitter, two of the world's most popular social networks. People use these platforms to share and consume information, like articles, photos, and videos. They also use these social networks to communicate with others, whether it be friends and family or with random strangers, through private messaging, status updates, and instant messaging and chat. Social intranet platforms are very similar in features to the public social networking concepts -- they enable the sharing and consuming of information as well as the business communication tools that these public social networks provide. However, in a business sense, social intranet platforms aren't just for public use. They enable the sharing and communication to take place inside a business, between employees and colleagues, between employees and customers, and even between customers and other customers. It's often that a social intranet platform will also include collaboration and productivity tools. Wiki's, task management, private and shared calendars, discussion forums, and ideation are all considered collaboration tools. They enable you to work with people inside and outside your business from anywhere, anytime ... in real-time or asynchronously. Social intranet platforms are typically implemented for internal use ... or for allowing companies to better interact with customers and vendors. Similarly, blogging, innovation, and social commerce platforms all serve to create closer relationships between organizations and their audiences. 2. Social media listening software. These tools are specifically designed for companies that are looking to gauge public awareness and opinion about their brands. Brand monitoring software, for example, uses "scraping" and APIs to filter data from public social networks, like Twitter, Facebook, Instagram, Google+, LinkedIn, etc. ... that can provide insight about a brand's current performance on the social web. With this software, you basically tell the system what keywords or hashtags to look for or what streams of data to search, and it pulls it back and presents it to you in a manageable way. They'll often give you social analytics too, which can help to provide insight into how a brand is currently viewed in the social sphere. These types of tools help you "listen" and "react" ... or take a pulse of who's talking about your company or brand, giving you the opportunity to chime in if necessary. 3. Aggregation / integration software. Software designed specifically to foster aggregation and integration are useful for pulling information, posts and knowledge from a variety of sources and organizing it into a single space. As the amount of spaces we get our information from in today's world continues to increase, this feature becomes even more important. This category serves as an umbrella for social inbox aggregation, identity brokers and aggregation/curation solutions. For those who use social media or blog regularly, aggregation software can be a powerful tool. 4. Publishing and sharing software. Sharing content is a central function of the Internet today — it's how many people get their news and other information on a regular basis. Publishing/sharing software, then, can have a number of business implications. There are a number of applications inherent in today's social media networks that serve this role, but this category also includes social media management systems and basic sharing tools that can be used by businesses to help increase their presence on the web. 5. Infrastructure / functionality software. Finally, infrastructure/functionality software is used to predict and maintain information that could lead to customer anticipation. Most business owners are familiar with customer relationship management (CRM) software, and many believe they'd be unable to operate without it. Infrastructure/functionality software takes traditional CRM to another level by making it social, creating a new approach towards prediction that can be highly useful for businesses in any industry. Choosing the right intranet platform. The most important thing to remember when shopping for intranet software is that there is no such thing as a definitive option. Depending upon the needs of your business, one platform may be a much better fit than another. 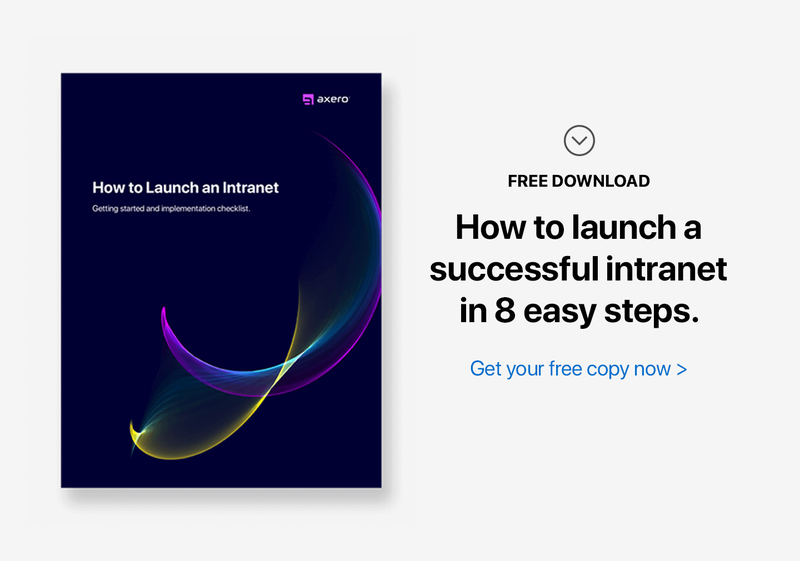 Bearing this in mind, the following tips can help you to narrow down your search and find intranet software that your business can truly benefit from implementing. Look for integration — As outlined above, there are so many intranet examples out there that settling on just one can not only be head-spinning, but may also be selling your business short. This being said, an intranet solution that integrates a number (or all) of the spaces mentioned above can be an excellent option for companies that are looking to completely overhaul the ways in which they go about handling daily tasks. Look for intranet software that combines social networking, collaboration, communication and knowledge sharing into a single package, as all of these can be used to push your business in a forward direction. Focus on vendor experience — There are plenty of young vendors on the market that claim to offer "the solution you've been looking for." More often than not, however, these companies are heavy on talk and light on substance. Experience matters in the software industry, as it often takes years of research and development to ensure that bugs and kinks are sufficiently worked-out. For best results, work with a vendor who has years of experience providing intranet solutions to clients of all kinds. Avoid "one size fits all" options — Many vendors sell what is commonly referred to in the industry as "one size fits all" software. Often, these options are billed as being exceptionally easy to use and perfect for any organization, but the fact is that there's no such thing as a fully-fabricated intranet that actually offers functionality across the board. One size fits all intranet platforms don't allow for flexibility or customization, which means your organization will be stuck within the rails for the entire duration of time spent using such software. Avoid these options at all costs. Hold user interface in high regard — If there's one hurdle that many business owners find themselves running up against when trying to implement social intranet software, it's user adoption. Some employees find it difficult to pick up new types of software, which is why it's essential that the intranet platform you choose offers easy navigation and and attractive UI. After all, you could have the most functional intranet on the planet working for you, but it'll do your organization very little good if your employees find it difficult to navigate. Internal and external capabilities — For many businesses, an intranet will most commonly be used for internal purposes. Bearing this in mind, they can also be very effective when used externally, especially when it comes to offering customer support and publishing content on the web. A strong intranet solution is one that allows for both internal and external use — not just one or the other. Don't forget about customer support — No matter how technologically-inclined you and your staff may be, there's always a chance that you'll end up running into difficulties when learning how to use your intranet. In such a case, you've got to know that the vendor you choose to work with will be there to offer quality customer support should you need it. If you have a vendor that has made the shortlist, be sure to mention your need for customer support before making any commitments, and don't hesitate to ask for details about the help they provide. Ask for segmented spaces — Whether your organization is large or small, you can get a lot of mileage out of having separate online workspaces inside your intranet platform. If you have a marketing department, for example, you can devote an entire portion of your intranet specifically to this team, separating the information and communications that might happen within this space from that which pertains to the rest of your community. Many business owners forget to look for the ability to create spaces when shopping for intranet software, but the advantages that come along with this feature are quite obvious once you begin experimenting with what it is capable of. 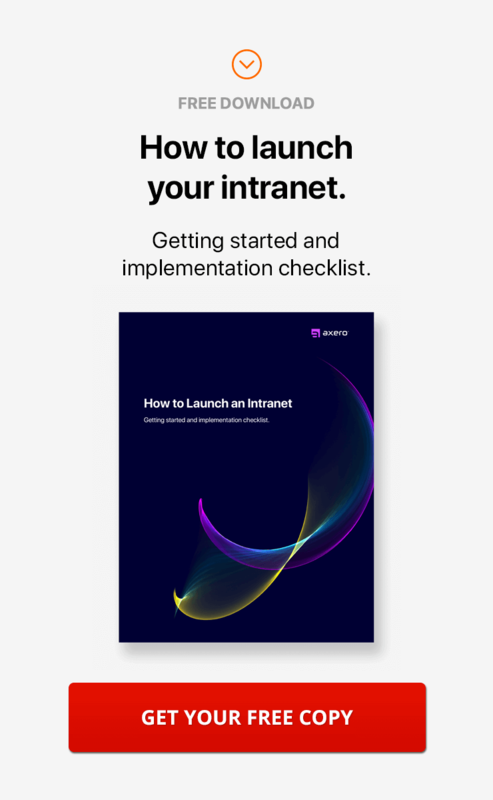 Consider your goals — Finally, the most important thing you can do when setting out to purchase intranet software is to take a moment to review your business goals. The whole purpose of implementing an intranet platform is to push your business in a forward direction, and in order to find the software that is right for you, you've got to have a clear idea of what it is that you're trying to achieve so that you can relay this information to the vendor you're thinking about working with. Perhaps you're trying to improve communication within your organization, or maybe you're looking to publish more content and distribute it throughout the web. No matter what your goals may be, be sure to get them down in writing, and don't make any decisions without expressing your needs in full. Finding the perfect social intranet platform for your business can be a time-consuming process. Do your homework, check out the different intranet software comparisons and intranet examples -- and you're bound to make a decision that will benefit your organization for years to come.